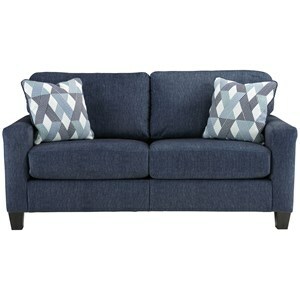 Simply designed this stationary sofa features tapered wood feet and three seat cushions. The narrow track arms sit on either side and give the pieces a clean and modern look. 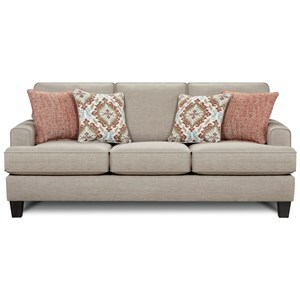 The 3030 Sofa with Tapered Wood Legs by Mayo at Olinde's Furniture in the Baton Rouge and Lafayette, Louisiana area. Product availability may vary. Contact us for the most current availability on this product.